Home »IT - Lab»Odoo 11: The introduction of Rainbow Man and its death. Odoo S.A. released Odoo v11 last week and I was in the room when they released their latest marvel. Although I am a Community man (as in Odoo Community edition), I must say the Enterprise edition looks slick and seems to work as advertised. On some points though they (Odoo S.A. the company) are introducing “features” that we Northerners (as in North Europeans, me being Dutch) cannot comprehend well. One of these was revealed by Fabien Pinckaers, Odoo’s founder and CEO about 20 minutes in his presentation, Rainbow Man. For the team I am part of this feature was a hot topic in the days to follow (Odoo Experience lasts for 3 days), as it was too easy to make jokes about. I told my colleagues I will finally develop my first module for Odoo to kill this feature as soon as possible. So today was the day. 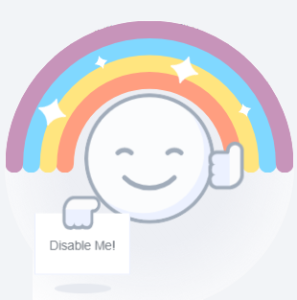 I did make my first Odoo 11 module, Disable Rainbow Man. It will hide Rainbow man indefinitely regardless of settings in Odoo. I could not yet publish it in the Odoo App Store as we cannot upload Odoo 11 modules yet… So I will have to wait for Odoo to open up the store for its newest release tomorrow, as promised by Fabien. PPS. This is a personal view point and may not necessary reflect the viewpoint of the company I work for. Update: Module can be downloaded in the Odoo App Store or my Github. ← Previous Previous post: A mobile first: I just upgraded the camera of my FairPhone!